One of the four major sports here in the U.S., baseball has been played for hundreds of years. With that long history comes a game within a game; the quest to find the best equipment to play this wonderful sport. If you’ve ever played the game yourself or even looked in the dugout; surely you’ve wondered about the different sizes, brands, and differences between different bats. Today, we’re taking a look at the best baseball bats out there – and helping you find a perfect fit. We’re going to start with BBCOR -3 bats and finish our article with Youth bats. 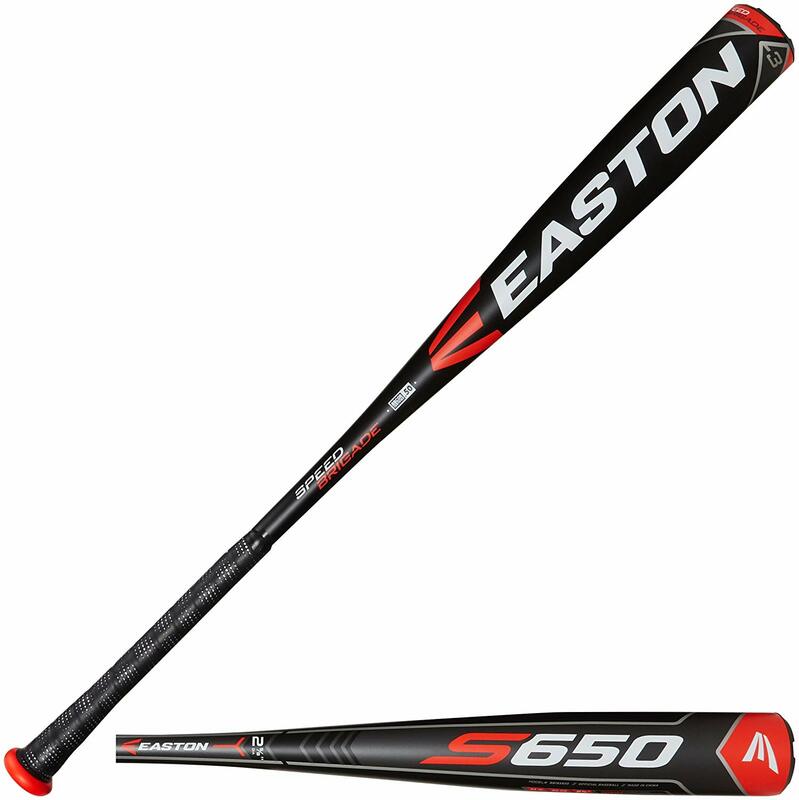 Easton has used aircraft grade 7050 alloy to make the Easton S650 BBCOR Bat. The result is a bat that is going to give you some “take off” results when you step into the next fastball you see! Easton is a respected brand that has been bringing high-quality equipment to baseball players for a long time, and this bat is no exception. You’ve got a bat that will allow for a very fast swing speed, but one that still has a large sweet spot for ideal contact. This all adds up to some excellent performance with the S650.This bat also features an all-sports grip that is going to make the batter feel comfortable in the box. It’s a 2 5/8 barrel and has the BBCOR certification for high school and college approval. 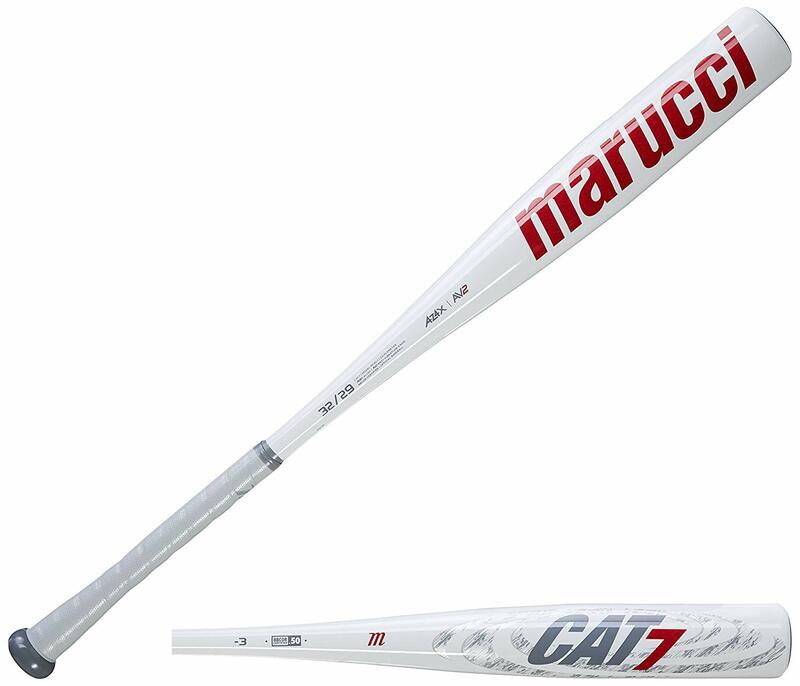 Marucci may not be a “traditional” baseball name like Louisville Slugger or Rawlings, but they’ve got a heck of a bat here with the CAT7. Obviously, it is somewhat similar to the older CAT5 or CAT6 models, however Marucci has added some power. The biggest improvement here is the AZ4X Alloy that is really impressive. This new barrel design allows an even bigger sweet spot, something that you need if you’re going to be driving the ball far. They did a lot of research for this bat and it definitely shows, the barrel has some pop. Marucci also designed a brand-new AV2 Knob which decreases vibration in the hands – always a plus. The feel of this bat in a batters’ hands is one of the biggest draws. You need to be completely comfortable when you’re staring down a pitcher who’s going to be throwing hard, and the CAT7 does a nice job of giving batters’ that comfort they need. Marucci also advertises this bat as having no “dead spots”. If you’re looking for a high school or college bat, this CAT7 has BBCOR certification. Overall, the combination here adds up to a really nice balanced bat that is forgiving but has a nice sweet spot – all while allowing for some pop. Having used this bat myself once or twice, I can guarantee this bat is solid for any level of player. Another Easton offering here on our list, and another bat that has the chops to compete with any out there on the marketplace. The Project 3 Fuze BBCOR is going to allow you to make better contact with the ball. Not only will you make better contact, but that’s going to allow you to get more pop and a bigger mass behind the ball. 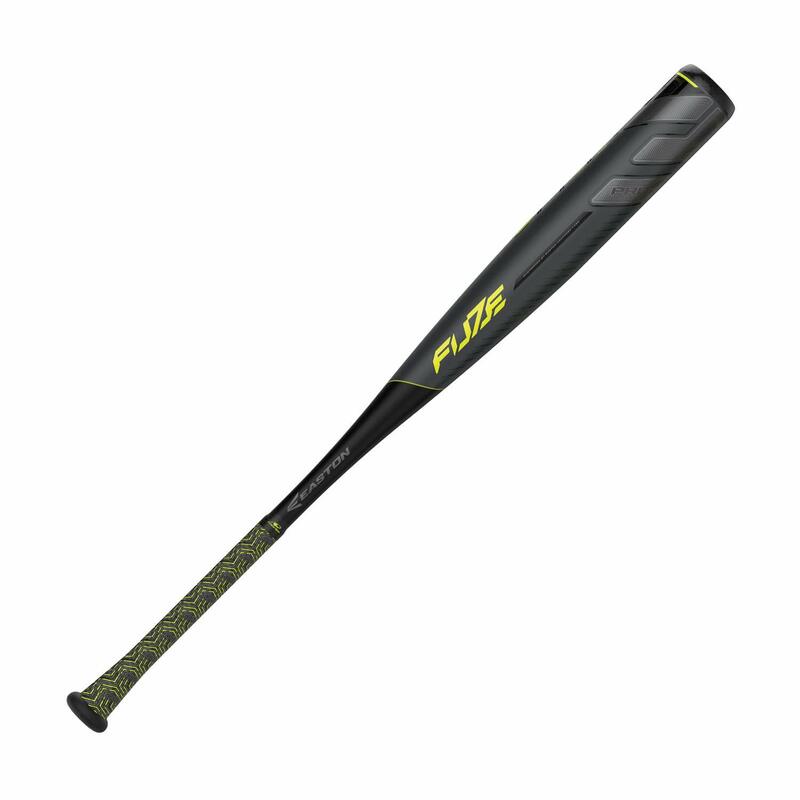 The Project 3 Fuze has Carbon-Core technology (also referred to as C-Core) which is leading to a huge trampoline effect when using this bat. Of course, it’s an Easton bat so you’re getting the familiar Lizard Skins grip as well which gives you some cushion and lets you feel comfortable no matter if you’re swinging in dry or wet conditions (hopefully not too wet unless you want to sit around in a Rain Delay all night). Overall, the Project 3 Fuze is going to give you a nice mixture of balance, speed and control, but not without sacrificing too much pop. You’ve got a 2 5/8 barrel to let you drive the ball farther and faster. If you’re superficial, you may also just love the design of this bat which I’m totally into. This bat is BBCOR certified – so use in high school or collegiate levels will not be a problem. As a balanced entry, I highly recommend the Project 3 Fuze from Easton. I mentioned in the youth section how traditional and dominant Louisville Slugger has been for a long time when it comes to bats – and this Meta Prime is going to be something to see. This is the most advanced bat in the Louisville Slugger lineup and may be one of the most advanced bats I’ve seen overall. Louisville Slugger has made an EKO Composite – something that has created a barrel that is just silly dominant. You’ve got an extremely potent sweet spot to pound some baseballs with, and it’s really a fantastic combination of pop and speed, for great power. You have a 2 5/8 barrel here which is built by experts to provide a comfortable and sting-free bat because of Louisville Slugger’s LS Pro Comfort Grip. BBCOR certification for use in high school or in college is included, as that’s obviously important in this -3 section.This bat is really something and I recommend you take a look at this one very closely if you’re a serious player and you’re planning on hitting some Home Runs this season. Rawlings may be more known for their gloves, but that’s going to change if they keep making bats like this. This 5150 is a traditional yearly entry from Rawlings, and it’s really a great bat for players who have skills in many different areas. It’s a classic single-piece construction made up of what Rawlings calls aerospace grade 5150. Sounds pretty good right?… Launch that ball into space! Even though Rawlings markets this bats to players who have all-around skills, you can actually rely on this bat for a fair bit of power and the redesigned barrel is going to give you an expanded sweet spot to utilize. That comes courtesy of the Pop 2.0 technology that Rawlings has engineered into this bat. Of course you have the BBCOR certification for use in high school or in college, as that’s obviously important in this -3 section. Rawlings has a really nice offering here – if you’re looking for a 1 piece bat, I may very well consider starting my search here. Another Louisville Slugger entry here – since we’re looking at baseball bats, how can you argue with that? This Louisville Slugger features MicroForm design, which according to Louisville Slugger fuses together layers of 100% composite material to make up the bat. The big feature they’re touting with this bat is the control you’ll feel when you swing – very important for batters looking to make contact. They actually use something called VCX technology which has taken away almost all stinging in the hands; by allowing for the barrel and handle to move independently. As this is a Louisville Slugger entry, you can expect it to have that LS Pro Comfort Grip, making this bat even more comfortable. It’s rated high when it comes to those levels. Control is the name of the game here with the Prime 919, and for hitters who need that through the strike zone, you’re going to find it with this bat. The Prime 919 is BBCOR certified so if you’re in the high school or college levels, you’ll be good to go. Take a look at this one and I don’t think you’ll be disappointed. 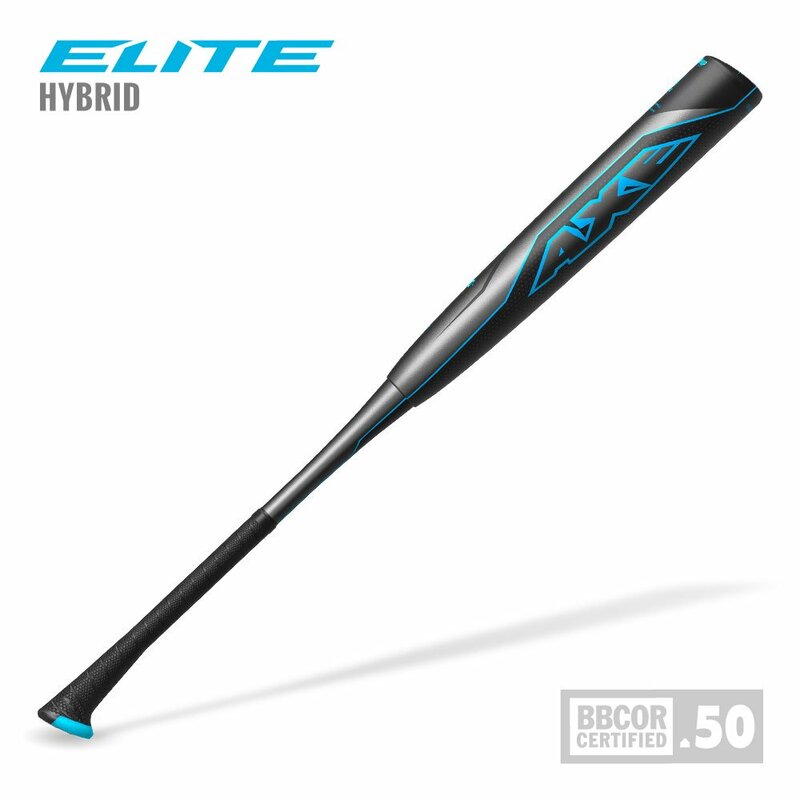 Axe Elite was featured in our youth section and here they are with the Axe Elite Hybrid BBCOR Bat in the -3 section as well. This bat is one of the strongest on the market. They’re advertising a military grade Mantic Alloy barrel that… ok let’s be honest. It’s military grade. It better be strong, dynamic, and explosive or else that’s just not right. It’s a two-piece hybrid design so obviously you’re getting the traditional sound but the composite handle is going to cut down significantly on vibrations. The Elite Hybrid BBCOR has an end loaded swing weight – this means it’s going to be really solid for power hitters. Big guys – this one’s for you. Most bats that we recommend mention sweet spot technology, and this Axe Elite Hybrid is no different – you’re going to be hitting more balls in that sweet spot area than before. As I mentioned, those power hitters are going to be wanting to whip the bat through the zone and the Elite Hybrid has a HyperWhip end cap to help you in that regard. 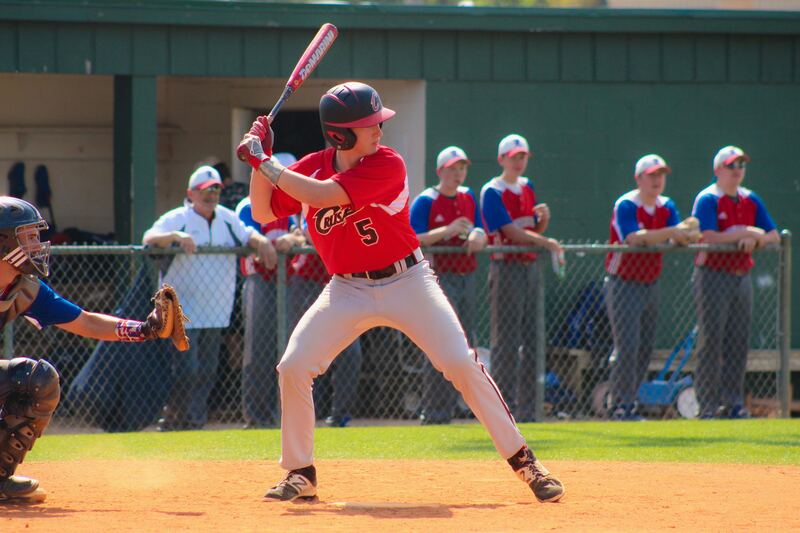 Axe Elite has got BBCOR certification – excellent for high school or even collegiate use. This Axe model is going to let you comfortably increase your swing speed and take the ball where you need it to go – far.